If you are preparing for St.Patrick’s Day or just urging spring and all the green that comes with it to hurry up and come this St. Patrick’s Day sensory tub activity is a must. So fun, so earthy and a huge huge mess. Seriously skip the mung beans, they roll when you sweep. If you haven’t tried scooping activities with your child do, they love this and a little tub like this can lead to wonderful pretend play, basic understanding of measurement and is just plain fun! First, gather your materials. 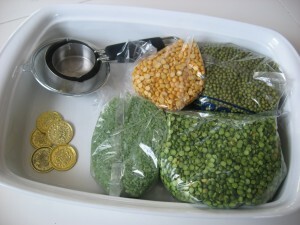 You will need some split peas, yellow lentils, mung beans ( if you dare… or have a drop cloth down), the green rice is called bamboo rice, some fun gold coins if you are doing a St.Patrick’s Day theme, and tools to scoop and pour. 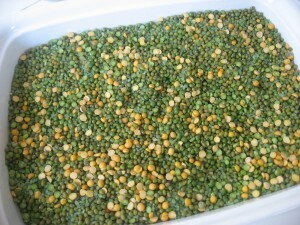 Next, pour your lentils, peas, and rice into your tub. Finally, add the gold coins and tools. 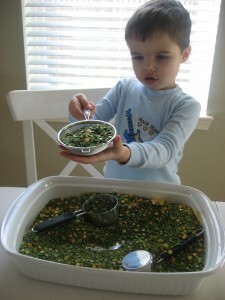 Invite your child to play with your St. Patrick’s Day sensory tub. Let them go. Find the gold! Count the pieces, and then hide them again! Later, let them just explore! This spill was much much larger than I managed to capture on camera. Accidents are forgiven but pouring on the floor is not. He gets one warning then the tub goes up until later in the day when we try again. Still, it’s well worth it and still fun a few hours later too! 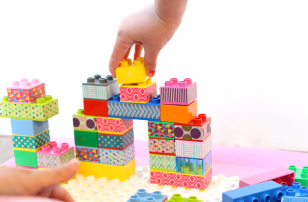 Looking for more Sensory play ideas? What a great sensory tub! I guess it IS time to start thinking about March, isn’t it? I’m so glad to see that I’m not the only one with a little boy who enjoys pouring his sensory tub on the floor just to see what happens. I like your rule of one warning, and then put the sensory tub away. .-= Cara´s last blog ..Popsicle Painting =-. Oh this is such a neat one. Thanks girl. I am bookmarking there. 🙂 My son hs sensory issues and is delayed so this helps. 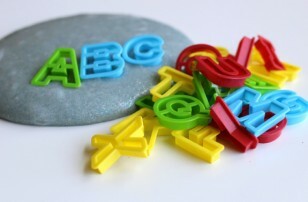 .-= Deborah´s last blog ..Create a name puzzle for your preschooler =-. We are still loving your February Sensory Tub!! 🙂 Can’t wait to do the March one with the gold coins! We have the same rule – a few pieces are going to fall out when you’re playing, but “on purpose” is not okay. We do the “one warning and then the tub goes up until another day” too! 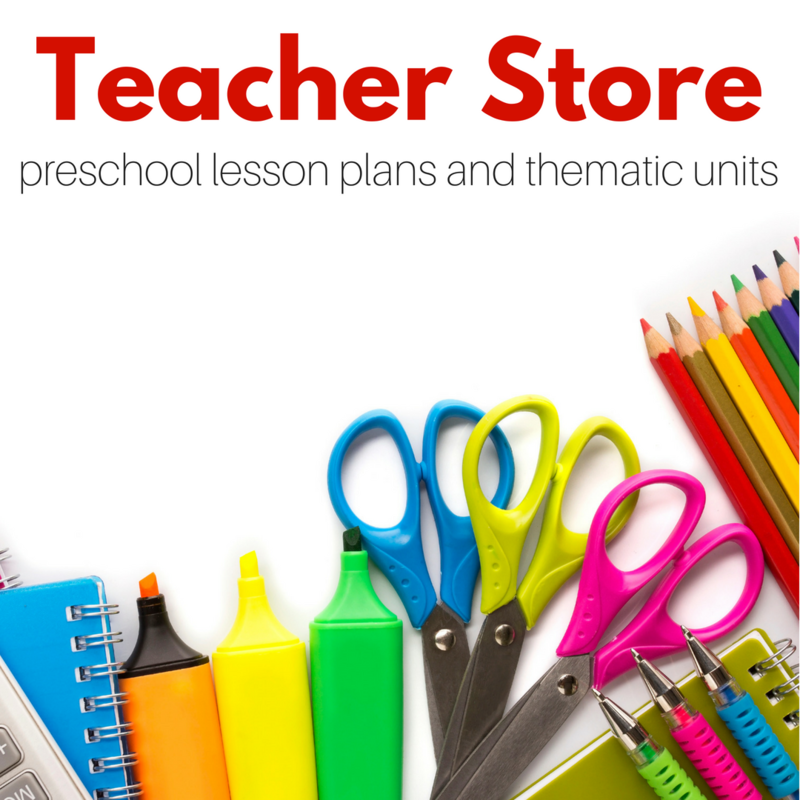 Cute idea, I will use this one with my daycare group. I know messes are part of preschoolers, but I use a flannel back table cloth to protect the floors for messy activities. I call them tarps and change them with the seasons the kids like them too. That’s a great idea Michelle- I always mean to put a sheet down but get excited , grab my camera and forget! What do you do with the stuff that was in the previous month’s sensory tub? Do you save from year to year? How do you keep bugs out? We just had to toss three bags of rice last night cause we got weevils in them! ANd they were not even open yet! .-= My Boaz’s Ruth´s last blog ..Things My Son likes to Play with: Lacing Toys =-. I have never had a big problem by covering the tub with plastic wrap when not in use, then I pour the contents in a ziploc and store it from year to year. I like making little tubs for that exact reason, easy to store and reuse later/ or use the contents for other crafts. What a great idea! I am going to start doing sensory tubs with my 3 1/2 year old. She LOVED playing in a rice table at a museum we went to last year. One of my favorites from when I was student teaching was using coffee grinds as a sensory activity (We had enough to fill a whole empty sand/water table!). It’s great because of the texture and the smell! Just start saving your coffee grinds (let them dry out) and when you have enough, make your sensory tub. I know some Starbucks also put their used coffee grinds in bags and you can take them (for free) to use in your garden. Yes we love coffee grinds : https://www.notimeforflashcards.com/2009/04/earth-friendly-frugal-friday.html it was a huge hit here too. Great suggestion. I just love his expression in the last picture. Oopsie! .-= Natalie´s last blog ..The School Corner â€“ February 26, 2010 =-. Oh how fun! 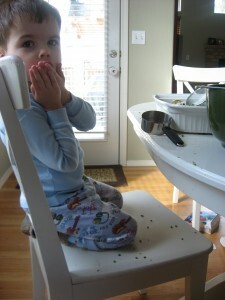 I just did sensory play with my son this morning (http://web.me.com/redshoearts/Redshoearts/Blog/Entries/2010/2/26_%7BThis_Moment%7D.html), with craft sand! I didn’t think to make it deep enough to bury things in, though. Thanks for the tip to try next time! We played with our sensory tub today. I used green peas and navy beans and threw in some gold coins a cup and spoon. Torryn happily played with it for more than 30 minutes. Such a great way to play. 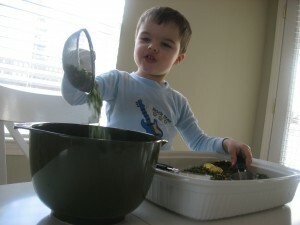 .-= Vanessa´s last blog ..St. Patrick’s sensory tub-Friday Math =-. 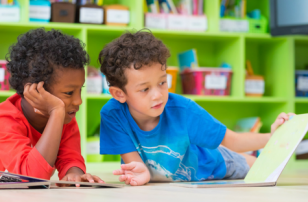 I’ve been following your blog for a while now – thank you for sharing so many great ideas! I just got around to trying this with my daughter (2yrs, 4 months) – it was great! .-= Becca´s last blog ..Why Didn’t I Think of This Before? =-. 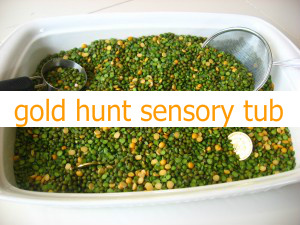 This is a great sensory idea! Thank you for sharing! As you can see, we love your tutorials! Please feel free to submit any that we haven’t already featured.